The Hague (AFP) – Dutch politicians were up in arms Thursday after ING, the country’s leading bank bailed out with public funds in 2008, revealed plans to hike its chief executive’s salary by 50 percent. From January 2018 the “supervisory board proposes to … raise the gross cash base salary of the CEO by 2.2 percent,” ING said in a statement. Top boss, Ralph Hamers, would also receive “fixed shares with a value equal to 50 percent of gross cash base salary”. 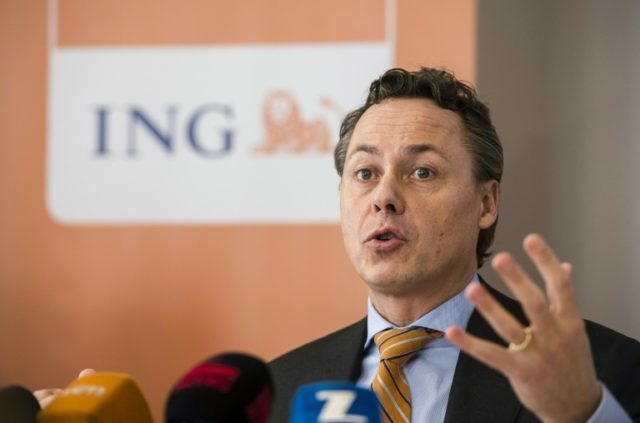 ING gave no figures, but the pay rise would earn Hamers around three million euros ($3.7 million) annually, Dutch media said, highlighting that other ING staff were only awarded a 1.7 percent pay rise. “In what universe are those at the top in ING living in?” asked MP Jesse Klaver, leader of the green left party GroenLinks in a tweet. MPs have demanded the chairman of the bank’s supervisory board, Jeroen van der Veer, appear before the lower house as early as next week. Politicians have sought to restore public confidence in the banking sector after the 2008 financial crisis badly shook the Dutch economy. But ING defended its wages policy saying it was “designed to ensure we offer well-balanced remuneration so we can recruit and retain highly qualified employees”. Concerns had already been raised by the board in the past as “ING needs to be able to attract and retain the best (international) talent”, it added. ING was bailed out to the tune of 10 billion euros after the global financial crisis struck, which it paid off in full plus interest to the Dutch government in November 2014, well ahead of time. The Amsterdam-based bank is the country’s leading lender, and said last month that 2017 profits rose 5.5 percent to 4.9 billion euros, with revenues also up 1.4 percent to 17.7 billion euros.